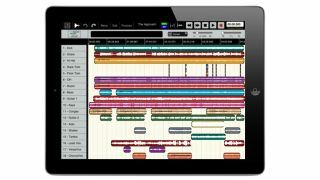 WaveMachine Labs has released Auria LE - a cut down, entry-level version of the developer's acclaimed audio-only iPad DAW Auria. Auria LE features 24 tracks rather than the 48 of the full version, eight recording tracks (as opposed to 24) and two subgroups (rather than eight.) Additionally, the PSP plug-ins of the full version are available as in-app purchases and a number of the more advanced features - such as track freeze, reverse, DC offset and AAF import/export - have been done away with. It also only offers a sample rate of 44.1kHz. The trade-off for this reduction in features, however, comes from the fact that Auria LE is available for exactly half the price of its bigger sibling: £17.49/$24.99. For full details of the difference in spec between the two versions, head over to the official Auria site.